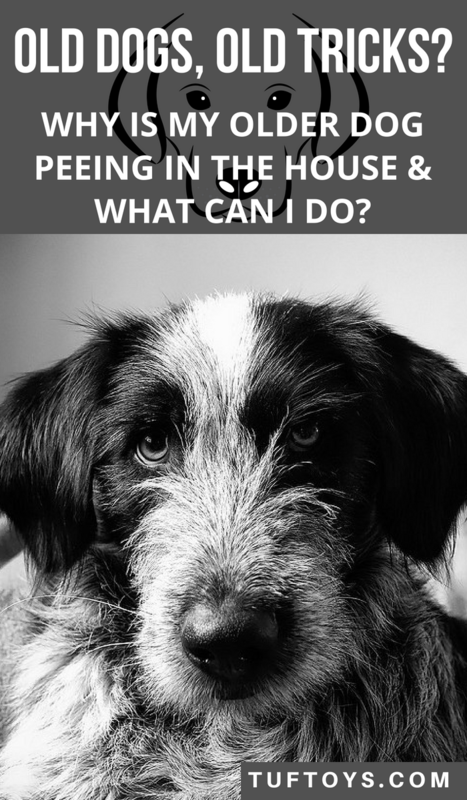 What are the possible causes of a dog starting to pee in the house? How does a dog owner determine if the reason his dog is having accidents in the house is that he is getting old? How can he know that the accident that just happened is the result of the aging process the dog is going through? And what can he do? These are difficult questions, since a dog five years of age can be considered old, while a six-year-old dog may still be, to a certain extent, a puppy. No two dogs are exactly alike. One dog’s metabolism may be old at four years while another may not show signs of the aging process until eight or ten years old. 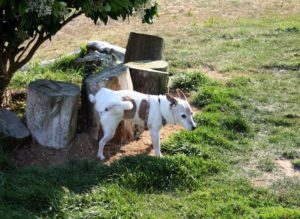 The first solution is to go to your vet as the aging process is not the only medical reason why a perfectly well-housetrained dog may suddenly backslide and forget his toilet training. The reason for the unwanted activity must be discovered and properly dealt with though. Unwanted activity, when not properly corrected, can soon become a learned reaction. Your dog’s vet can examine your pet and rule out such possibilities as nephritis, diabetes, or both. These two diseases can lead to a dog having an inability to hold urine. A urinary tract infection may be the cause, whether your dog is considered old or simply middle-aged. Your vet can check to make sure parasites or infections are not causing the incontinence. 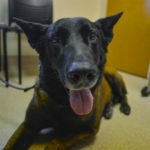 Whether your dog is young, middle-aged, or old, a thorough medical examination by a vet is the first and most important aspect to consider when a dog that was perfectly housebroken suddenly forgets and has accidents. Only when all possible medical causes are ruled out should you start examining the possible psychological causes. To have a better understanding of the many possible psychological causes, we must start with the simple and progress to the complex. If you own a male who quite suddenly forgets that he is housebroken, examine the possibility of a female in heat right next door. The compulsion to lift a leg in such cases is very overpowering and surpasses even the most rigid puppy training. The problem here is, once the mark is left on the leg of the dining room chair, the scent remains long after the female dog next door completes her heat cycle. The scent instinctively draws the dog back to that same location for repeated leg raises. The problem becomes worse if shag carpeting is involved. Wiping it up with water magnifies the problem because of the possibility of mildew. Mildew is notorious for attracting dogs. This type of accident (and it is considered an accident) is quite normal when a female dog is in heat nearby. Even the well-trained dog feels the compulsion to leave his marking. This lets the female dog know (or so the male dog thinks) that there is a perfectly capable and willing stud close by. One of the best formulas for removing the urine scent from furniture, drapes, and carpeting is club soda. 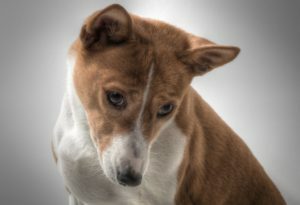 Removing it is a must if you are to return your dog to the status of the well-trained household pet that you know he is. Scolding and verbal reprimand at the time of the accident are perfectly in order as long as you have ruled out medical causes. There are some isolated cases where the cause of a breakdown in toilet habits in a mature dog starts as a psychological motivation but results in a problem becoming medically motivated. An example of this would be that the dog that suddenly forgets his housebreaking and urinates out of jealousy and spite. 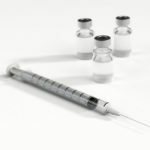 A dog of this type could develop a psychosomatic urinary tract infection, therefore giving him a reason to eliminate at will anywhere in the house. Such a condition can be inspired by the arrival of another pet like a cat or a bird, a new baby, or any other attention-stealing tangible. Verbal punishment in such cases will only perpetuate the problem. The dog is getting attention which is, after all, what he wanted in the first place. As long as he is getting this extra attention, whether it is shaming or admonishment, he will continue whatever action prompts his attention. Competition can cause a breakdown in toilet habits without the problem evolving into a psychosomatic urinary tract infection. The dog owner should understand that competition alone can be the cause of the problem. And when there is competition, the dog wets! The competition can be real or imagined. In either case, a thorough examination into any recent changes in household routine would be in order. Something may be giving the dog a feeling that his position or your affection for him is in jeopardy. Whether actual or simply imagined, it is very real to the dog. If competition is to blame, extra time spent with your dog, and maybe even exaggerated affection, will normally suffice in removing the motivator of his bad deeds. Then there is the sort of dog who indulges in the type of wetting where he lifts his leg against everything; bedding, curtains, furniture, etc. and finds it necessary to try and own or control his environment by wetting on it. This is the type of dog who is self-oriented, selfish, narcissistic animal that he wets on everything to make it more his own territory. This is a dog that needs a master in all the purest and literal sense of the word. That type of dog suddenly realizes that he is the leader of the pack, although he really doesn’t want to be. This dog is insecure and wants, in fact, needs, strong and confident leadership. These actions usually materialize as a result of soft, permissive, easy-going dog owners who spoil and baby their dog. The ratio of love and discipline are tipped only in the direction of love. Love in this instance is not a healthy love, both for the dog owner and his dog. Its permissiveness by an owner who is afraid that discipline may cause the dog to not like the owner. In reality, mistaken kindness can be a bitter and unneeded cruelty. When these dogs are placed in the pound and put to sleep, there’s nobody to blame but their owners who thought so little of their pets that they failed to bring them up with the proper balance of love, discipline, and control. 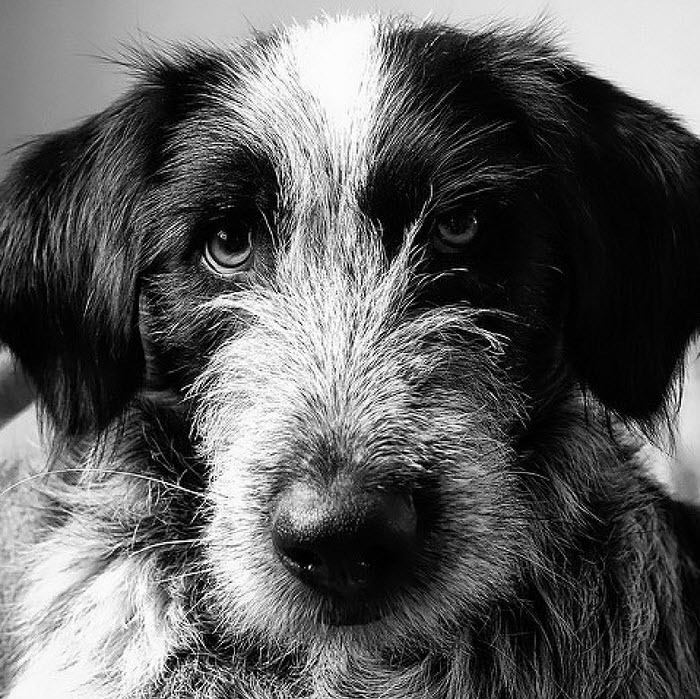 The personality and thought process of the dog is an extremely complex mechanism. Training, whether for toilet training or teaching to sit on command, is simply a matter of communication. That is, communicating your desires to your pet and requiring that he respond in a certain manner, all the time. But when a normally trained canine suddenly behaves in a manner differently than from the way he has been trained to behave, the owner must search for the cause before trying to find a cure. Is it possible for an occasional accident to become a learned behavior in your mature dog? If an occasional accident goes unnoticed by a dog owner for any length of time, the possibility exists that the dog’s actions will become a habit. Consistency in performing a particular act results in that act becoming a learned behavior. Therefore, it is possible for a perfectly housebroken dog to become trained to use the bathroom indoors due entirely to lack of proper supervision. When this situation happens, there is no alternative except positive retraining methods. Removing the motivator is fine in the early stages before the bad act become a learned behavior, but when the act has been allowed to become a routine, then it is the owner’s responsibility to retrain the dog. Retraining is relatively simple and requires a minimum amount of patience, but a maximum amount of supervision. The training, on the surface, is similar to house training a puppy. The primary difference and a fact which is in the dog owners favor is that the new puppy doesn’t know he has done wrong when he makes a mistake in the house. A new puppy is not quite sure at first why he’s scolded in the house and praised in the yard. The mature dog is quite tuned in to two of the five basic principles of training correction and praise. The keys to successfully re-housetraining the older dog are supervision and the judicious application of praise and correction. 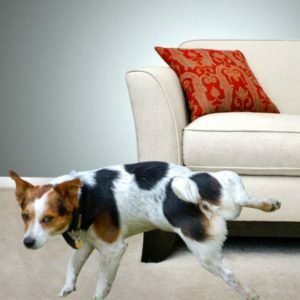 It would be unwise for the dog owner to follow the dog from room to room and, in fact, this tactic just might prevent the dog from making the mistake; thus, it would prevent corrective measures from being established. The dog’s actions must be completely supervised, but he should not feel that he is being watched. A typical situation might find the family sitting in the kitchen eating dinner, with the family pet sleeping near the living room. Suddenly, the dog gets up, stretches, yawns, and slowly makes his way down the hallway to another room. The dog owner should then follow, unobtrusively, to keep an eye on the actions of the dog. 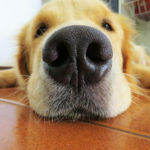 At the first sign that your mature dog is going to eliminate (excessive sniffing of a particular area), the owner should immediately take him outside. The reason is obvious. How can you praise a dog for doing something right if you are not there to see it? The owner should go outside with his dog. Supervision is crucial at this time! This means that somebody has to take the dog outside. Somebody must place him in the proper position and the proper place for elimination so that the action can be followed by praise. Somebody must be there to praise him. Dogs learn by associating their actions with pleasing or displeasing results. It is not enough that somebody is there to chastise and verbally admonish the dog for doing wrong; someone must be there to praise him for doing right. The praise will be relatively meaningless unless it comes from the leader of the pack. This is you, his owner. If you fail to live up to your responsibilities, then you cannot justifiably blame your mature dog for failing to live up to his. Someone must show him the way. In the dog’s mind, it only counts if the teacher is the person he loves and in whom he has confidence. When you take your dog outside and fifteen minutes have elapsed without him eliminating, bring him back inside the house. But the supervision should not stop. In fact, it should be more constant. When the dog drops his nose to the floor and starts sniffing again, the owner should once again take him outside. When your dog eliminates outside, you should be right there when it happens and praise him, then bring him back inside the house immediately. It is the same method that should be used if dealing with a puppy. Praise and correction are the keys with which we can successfully communicate with your dog. It takes four days for the average dog to learn an average thing. For the mature dog or puppy who has unlearned something, it also takes four days for that dog to unlearn a learned behavior. Supervision is crucial to your success. The dog must be kept under constant watch while indoors so that positive corrective action can be taken. The methods are identical for the dog that has never been housetrained. When a person adopts a mature dog from a pound, the dog is brought home and inside the house where he immediately eliminates on the floor. Training is, therefore, crucial. It is much easier to train a mature dog than it is a puppy. Any dog, whether a year or twelve years old, can be trained to eliminate outdoors if the four-day rule is followed through. The four-day requirement for learning to take place in your dog’s mind should provide you with all the necessary patience. Regardless of your dog’s age, praise is the communicating factor. Too many people feel that chastisement is the key. This is not true! Praise is the main ingredient. But in order to praise the dog for doing the right action, one must be with him nearby so that he can administer the praise. 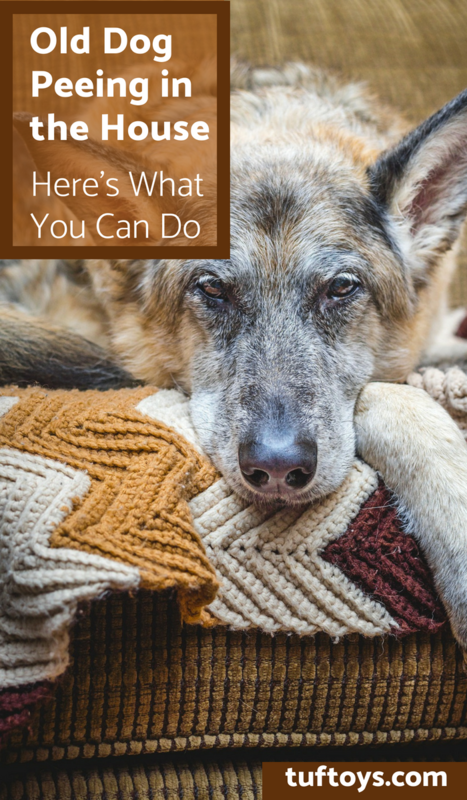 By following these principals, you will have your housetrained dog back in less than a week. Good luck!